There are those year-round pieces of the metropolitan wardrobe which always find their way into a summer vacation bound suitcase. 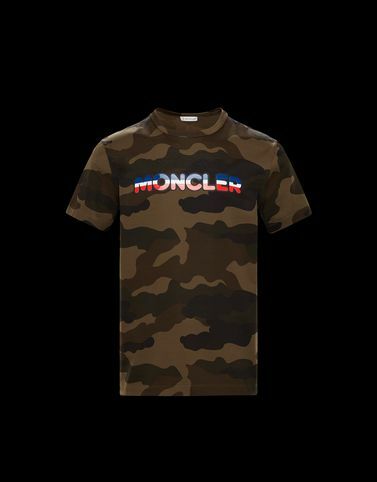 The t-shirt is one and Moncler personalises it using cotton camouflage and signing it with its name, because even the most loved essentials should bear the brand’s mark of excellence. Wash max 30°C - Very mild process; Do not bleach; Do not tumble dry; Ironing maximum temperature 110°C - without steam; Do not dry clean; Do not professionally wet clean; Dry flat; Wash separately; Do not iron decorations; It is advisable to wash and iron the garment on reverse.